REPs is a division of the Exercise Association of New Zealand Inc, and receives it strategic direction and governance from the Exercise New Zealand board. The Exercise New Zealand board is elected by the Exercise New Zealand membership. The REPs Advisory Council act as an advisory group to the REPs Registrar on current and emerging issues, trends and opportunities relating to registration, standards, qualification recognition, that may impact upon exercise professionals and facilities/studios. The council also helps to ensure that decisions made by REPs are reflective of, and responsive to the concerns of those who are impacted by the decisions. Reporting to the board is Stephen Gacsal, the Registrar of REPs, who oversees the day to day operations of the register. Hannah King started in the role of REPs Registration Coordinator in November. Hannah comes to REPs from a background in electronics and sales work. She will be using her previous experience for processing REPs registrations, answering any REPs questions and helping guide applicants through the registration process. 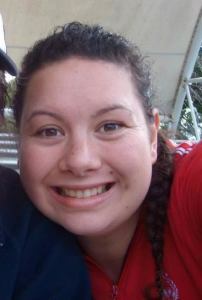 Hannah has lived in Christchurch for several years but is from both Te Hiku O Te Ika, the Far North District – North Island where her family still resides and the Waikato area. Has had experience as a Waka Ama Paddler is still an avid follower of the sport due to her family’s continued participation and success in the sport. Nathan works for Exercise New Zealand, but helps out at busy times with answering REPs telephone and email inquiries. Nathan has a wealth of knowledge and experience of REPs registration having worked for Exercise New Zealand and REPs for over 10 years.